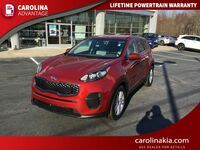 The Kia Sportage and the Hyundai Tucson belong to a veteran breed of automobile known exclusively as the sport-utility vehicle. Building on many years of experience and innovation, they have both come a long way to offer the latest in automotive technology, yet they share similar exterior looks, making the purchasing decision between the two increasingly difficult. 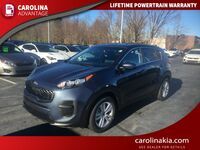 If you are in the market for a new SUV, it may or may not come as a surprise to learn that the 2017 Kia Sportage LX is an all-around better investment than the 2016 Hyundai Tucson SE for more reasons than one. At the very least, an SUV should be useful and it should be comfortable. The Sportage LX and the Tucson SE are both the entry-level trims for their respective brands and models and they are still available with all-wheel. Also in congruence are the 6-speed transmission and inline four-cylinder engines that are found in each, which is where the first red flag is found. The first and most important difference between the two is the range in displacement between them. The Hyundai Tucson comes standard with a 2.0L engine that produces 164 horsepower and 151 lb-ft of torque. This engine has the same EPA-estimated fuel economy rating in the city of 23 miles per gallon as the Kia Sportage, yet it features less horsepower. 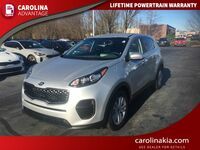 The Sportage uses a 2.4L engine to make 181 horsepower at the front or all four wheels and pushes out 175 lb-ft of torque at just 4,000 RPM. 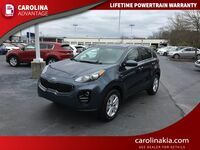 This extra power in the Sportage gives it a significant advantage on everything from transporting people or cargo to having a little extra safety cushion when you are navigation the roads and highways. The Kia Sportage can pull up to 2,000 pounds at the hitch and features anti-lock disc brakes on all four corners of the car to ensure safe stops when pulling a trailer. 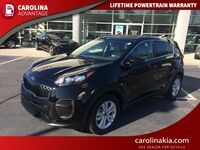 If you have any questions about the 2017 Kia Sportage, come to Carolina Kia of High Point today for a test drive!